The mission of the Botetourt Farmers Market is to offer locally produced food and goods to the Community, promote agritourism, and provide other farm-related educational and charitable activities to Botetourt County. 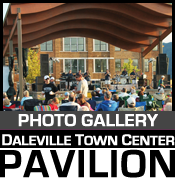 Botetourt Farmers Market at Daleville Town Center is putting down roots, and growing, and we are always seeking new vendors, sponsors and patrons for our community's open air market. 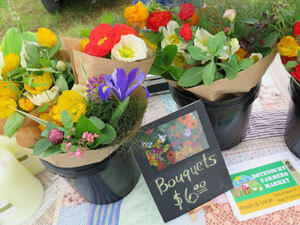 The Botetourt Farmers Market is comprised of local, Botetourt area farmers and producers, offering fresh local vegetables, fruits, and farm raised meats, dairy, eggs, local wines, baked bread, hand spun yarn, homemade foods and crafts. We are planning several Market events including, music from local musicians, wellness checks, locavore cooking with market ingredients, and many more. “Like” us and find more information on our Facebook page.